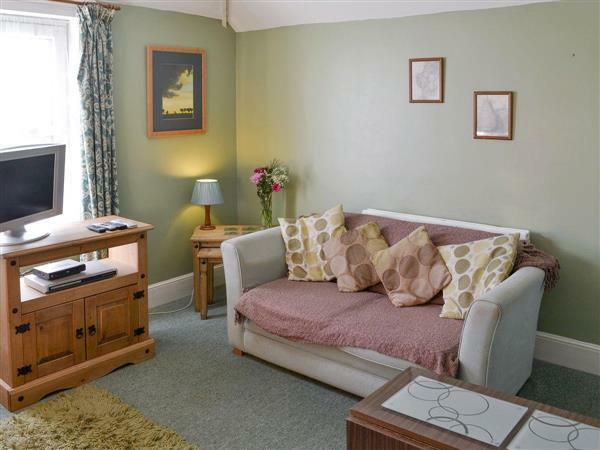 Ranworth at Beverley House in Cromer, Norfolk sleeps 2 people. Beverley House in Cromer is located in the popular seaside resort of Cromer, within walking distance of the beach, pier and town centre with its shops, pubs and restaurants. This large Victorian mid-terrace town house has been divided into five apartments that all retain period features. The upper floor apartments benefit from a birds eye view of the seaside resort. Each apartment is styled to offer a comfortable retreat to relax and unwind. Offering compact accommodation, they are perfect for those wishing to self-cater, or guests can benefit from the choice of takeaways and restaurants Cromer has to offer. The owners reside adjacent to the apartments should you require additional information. The seaside resort of Cromer is located along the north Norfolk coast, with amenities and attractions for all ages to enjoy. The town is famous for its tasty crabs, wide open beaches and the traditional pier, complete with a theatre. There is also a lighthouse, Amazonia Zoo, cliff top golf course, cinema and a variety of shops, restaurants and cafés to enjoy. Popular events include Carnival week (normally held during the third week of August) and fireworks over the water on New Year’s Day (weather permitting). The neighbouring market town of Sheringham boasts the North Norfolk Steam Railway, Splash Aqua leisure pool, theatre, museums, shops, cafés and restaurants. Sheringham is host to the very popular 1940’s weekend held during the month of September. Felbrigg and Blickling stately homes and Sheringham Park, all owned by the National Trust, are within easy reach. They are within an hour’s drive of the Norfolk Broads where you can hire a boat or go on a river trip, enjoy riverside restaurants and cafés or browse around the shops. A 30-minute drive, or local bus or train journey, brings you to the heart of the city of Norwich, with excellent shopping, two indoor shopping malls, market square, theatre, castle museum and plenty of cafés, pubs and restaurants. Visit Blakeney Quay, Cley-next-the-Sea and Morston harbour for a boat trip out to sea where you can watch the seals (seasonal). The north Norfolk beach is 300 yards from Beverley House in Cromer. With the shops, pubs and restaurants 900 yards from Beverley House. These properties (refs UKC2715, UKC2712 [Barton], UKC2713 [Wroxham], UKC2714 [Salhouse], UKC2716 [Hickling]) can be booked together to sleep up to 13 people. Ranworth is all on the third floor. Gas central heating, electricity, bed linen and Wi-Fi included. Welcome pack. On road parking. No smoking. Holidays at Ranworth, Beverley House run from Saturday to Saturday. Pets allowed at Beverley House � Ranworth. For a better idea of where Beverley House - Ranworth is, you can see Beverley House - Ranworth on the map below. Beverley House - Ranworth is in Norfolk; should you be on the lookout for a special offer, you can find all the special offers in Norfolk. It's always worth checking to see what is on offer at the moment. Do you want to holiday near Beverley House - Ranworth (UKC2715), you can see other cottages within 25 miles of Beverley House - Ranworth; have a look to find your perfect holiday location.